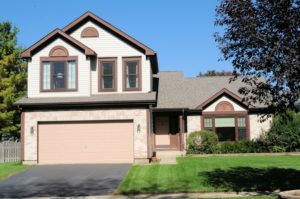 Is it time to repair the windows in your Deerfield, IL home? There are a variety of reasons why you need to call for window repair. It is essential to talk to an expert as soon as possible if you suspect a problem. Here at Scientific Home Services Ltd, we offer all of the window repair services you need. Whether you are looking to repair one window or you want to upgrade the entire house, we are here to help! Our family-owned company has been in business since 1928, giving you access to top-notch knowledge and experience in the industry. The type of repair work needed depends on the kind of damage that your window sustained. Sometimes, repairs might be unexpected because of a sudden accident that damaged the window. For example, if the kids hit a baseball through the back window, then you need to take action right away. In other situations, regular wear and tear can cause the window to break down over time. In these situations, you might not be dealing with an emergency. But it is still a good idea to take action sooner rather than later so you can avoid further damage to your home. If you aren’t satisfied with the quality of your home, then window repair can be a great way to upgrade your property. Window repair can improve the energy efficiency of your home and transform the overall appearance. How do you decide the best timeline to repair your windows? The best answer is to talk to a window expert as soon as possible to get recommendations. If you are dealing with an emergency situation, you need to schedule a consultation. But other types of window repairs might be just as critical to protecting your home and family. Even though you might assume you aren’t dealing with a critical repair, other damage can occur as a result of neglect. If a window has a small crack or an opening in the window frame, it could be letting on moisture that leads to mold growth. You have probably heard about the negative health implications of mold so you understand this is a problem you want to avoid in order to protect the health of your family. Mold and water damage caused by a leaking window can be an expensive repair. You might be facing thousands of dollars in restoration work in addition to the cost of replacing the window! Instead of procrastinating window repairs, it is best to take preventive action as soon as possible. If your windows aren’t broken, you might consider the proactive step of upgrading the quality of your home. Replacement windows can be a great solution to improve the appearance of your property. Additionally, there are many energy efficient benefits your family will enjoy. Does your home need replacement windows? There are a few tests you can do to determine the quality of your current windows. First, consider the installation date of the windows. If they were installed over 20 years ago, it is likely that you are missing out on some of the modern features available today. Another consideration is the temperature changes in your home. Do you notice temperature fluctuations as you walk from one room to another? Those changes could be an indication of low quality windows. Before you get started with repair work, choose a contractor you trust. The quality of the contractor will have an impact on the long-term results of the repair. If you choose an experienced team, you can rest assured that the repairs will be completed in the right fashion. As a result, you are protecting the quality of your home. Where should you look to find a contractor? Many homeowners turn to family and friends for recommendations. Sometimes this information isn’t enough to help you make a decision. You also might consider looking online to find a contractor with a good reputation in Deerfield, IL, and the surrounding areas. 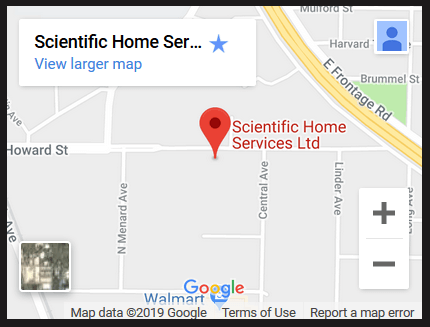 Our team at Scientific Home Services Ltd is dedicated to your satisfaction. We are happy to offer our unbeatable services to help you improve the quality of your windows. For more information about the high-quality products we make available to you, we invite you to contact our team. You are always welcome to visit us at 5639 W Howard St, Niles, IL 60714. Call anytime for answers to your questions. We will gladly schedule a consultation to figure out the best solution for your window repair: (847) 752-0370.